“Praying,” “Feel It Still,” “Shape Of You,” “Sign Of The Times” and “Perfect” rank within the Top 10 of 2017. 2018 is officially underway, but Headline Planet’s countdown of 2017’s best pop hits is not yet complete. We began the rundown by revealing that songs from Clean Bandit, Halsey, Imagine Dragons, Dua Lipa and James Arthur made the Top 20. We continued by positioning hits from Miley Cyrus, Bruno Mars, The Chainsmokers & Coldplay, Childish Gambino and Shawn Mendes in the Top 15. Today, we are proud to move into the Top 10. As a reminder, the countdown ranks songs that first charted at pop radio in 2017 — and reached at least the Top 20 for airplay. To the glass-half-empty listener, “Perfect” was a shameless attempt to capitalize on the success of “Thinking Out Loud.” Ed Sheeran already struck gold with a “first dance” ballad; why not try another? Perspective on the strategy aside, it is hard to deny that “Perfect” is a great song. The lyrics are clear and relatable, the melody is gorgeous, the composition builds perfectly, and Sheeran sings with his always-engaging voice. Collectively, the factors yield a stunning, timeless, glorious ballad. One, it should be noted, that emerged in an era sadly devoid of big, sweeping love songs. Sheeran has a way of making music that spans genres and demographics without feeling uncertain or insincere. “Perfect” is a great illustration of that ability. Superb remixes with Beyonce and Andrea Bocelli helped the song hit #1 across the globe – and become something of a pop culture event – at the end of 2017. The original version, however, was already a wonderful display of Ed Sheeran’s incredible talent. It already had the qualities needed to be one of the year’s best pop hits. It is easy to get swept up in the narrative surrounding Harry Styles’ debut single “Sign Of The Times” (as well as the entirety of his debut solo album). The most marketable One Direction member – the one for whom success as a mainstream pop artist seemed most certain – avoided the obvious path and released an authentic classic rock record. What is not to love? What is not to appreciate? The value of “Sign Of The Times” is about more than the admirable strategy, however. It is about the remarkable quality of the record. Guided by producer Jeff Bhasker, “Sign Of The Times” takes listeners on an absolutely epic ride. In an era with so many “linear” songs, “Sign Of The Times” understands – and showcases – the importance of peaks and valleys. Every moment is meticulously designed and calculated, yet the song never feels constrained or inorganic. The build is seamless, natural and believable, yielding a magical journey deserving of the David Bowie and Beatles comparisons it immediately garnered. While the production and composition are superb, one cannot Harry Styles’ contribution. This is not an artist coasting on the “risk” he took. It is not an artist merely looking to deliver a competent performance. It is an artist singing with everything he has. It is a hungry, committed, impressive vocal performance that turns a well-developed song into an utterly powerful one. The song – particularly the ending – would not be what it is without Styles’ compelling performance. There are definitely some questions for Harry Styles moving forward. Will he attempt to “modernize” his style for mainstream radio (“Sign Of The Times” charted respectably, but follow-ups “Two Ghosts” and “Kiwi” underperformed)? Will he narrow his “classic rock” focus to establish a more specific identity on album two? There is no question, however, that “Sign Of The Times” was a great start to Harry Styles’ solo career. There is no question that it was one of the best pop hits of 2017. When artists claim that a new song represents an “evolution” rather than a “departure,” they are often in denial – or simply lying. They very often did lose sight of the elements that made them famous. It may not sound precisely like his past releases, but it unquestionably bears the mark of Ed Sheeran. 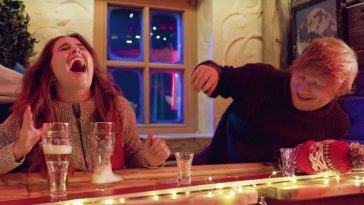 It features the recognizable lyricism, the humble, inviting vibe, the engaging, rhythm-conscious vocal delivery that had already made Sheeran one of music’s most beloved, successful acts. It just so happens to also feature particularly stellar production, an especially engaging melody (one that, admittedly, borrows from “No Scrubs” on the pre-chorus) and a ridiculously infectious hook. “Shape Of You” pairs the best of Ed Sheeran with the hallmark qualities of an amazing pop record. The result is an incredibly appealing, supremely enjoyable piece of pop music – that deservedly became one of the world’s two biggest hits of the year (alongside “Despacito”). Just as his friend Taylor Swift proved with her Grammy-winning “1989” album, Sheeran’s “Shape Of You” confirms that he can channel everything that makes him special in a universally accessible pop record. “Shape Of You” is not a story of Ed Sheeran ditching his identity to make an innocuous pop song. 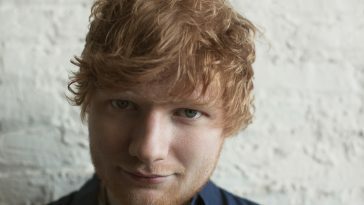 It is a story of Sheeran leveraging broad pop sensibility to better communicate his unique style. In terms of commercial impact, Ed Sheeran unquestionably ranks as music’s MVP for 2017. “Shape Of You” jumpstarted the banner year. “Shape Of You” was the first major pop hit released in 2017. It was also one of the year’s best. Suggesting an alternative record is suited for pop radio can have a negative or positive connotation. In some cases, it is a criticism of the song. 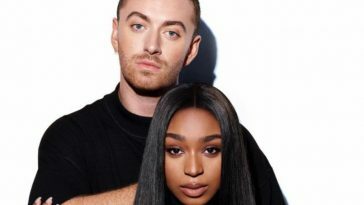 It is a claim that the song is not heavy, exciting or different enough to warrant an “alternative” label – it belongs in the safe, “boring” world of pop. In other cases, it is a commentary on the song’s universal brilliance. 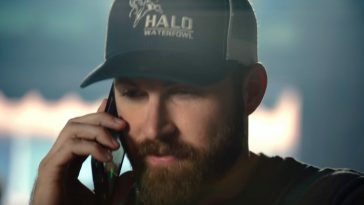 Yes, it is unique, creative and compelling, but it is far too interesting and engaging to be constrained to a certain niche of the market. It needs to be front-and-center. It needs to be mainstream. It needs to help define the state of pop music. “Feel It Still” undoubtedly fits into the latter category. Portugal. The Man’s career-defining record is a legitimate, credible display of modern rock. With a quirky vibe, self-assured instrumentation, striking vocals and an endless supply of “rock and roll” energy, is exactly the kind of record alternative radio should be embracing. 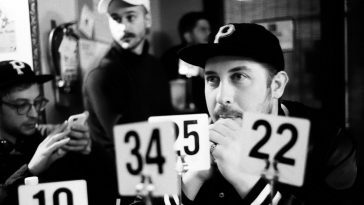 Beyond its fit for alternative radio, it feels true to the band’s style and discography. It nonetheless possesses enormous pop sensibility. The infectious hook, addictive bassline and memorable lyrics establish “Feel It Still” as an absurdly appealing, universally accessible smash. While the song makes use of melody from “Please Mr. Postman,” a comparison can certainly be made to “Happy.” Portugal. The Man’s hit comes across as a “weird” version of the recent Pharrell juggernaut. Which is to say: it is a unique, identifiable, alternative record – that still has the power to get listeners of all tastes and ages to clap their hands and sing along. It is also one of the year’s best pop hits. 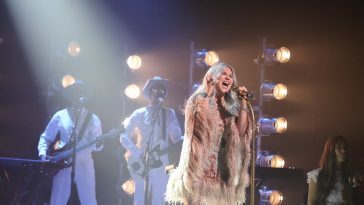 Against the backdrop of real-life drama surrounding her career, Kesha’s “Praying” represents an incredibly engaging piece of music. Do not let that notion mislead you, however. “Praying” is a fundamentally brilliant song that completely stands on its own. One would not need any previous knowledge about Kesha’s career to feel the emotion of this song. One would not need any prior opinion about the drama to feel invested in her message. That independent poignancy, above all, is what makes “Praying” so magical. More than any pop hit released this year, “Praying” exemplifies the idea that music should take listeners on an emotional roller coaster. It should provide an unfiltered, uninhibited window into the artists’ personality and mentality. It should let you know who they are, what they want, and how they feel. It should have purpose. “Praying” most certainly does. Kesha’s vocal performance is, unquestionably, the key to the magic. 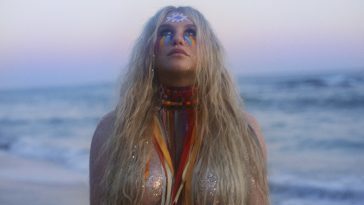 Singing with more dynamics, conviction, honesty and passion than just about any artist on the radio this year, Kesha produces an utterly captivating sonic experience. Some of the notes are ridiculously impressive, but even more remarkable is that they all come from such a real, honest place. Ryan Lewis’ brilliant production amplifies the experience, yielding mainstream radio’s most emotionally engaging song of the year. And one of 2017’s best pop hits.